Claire is the best female emcee/presenter/voice-over artist in the area of motorsports, sports, fitness and lifestyle! 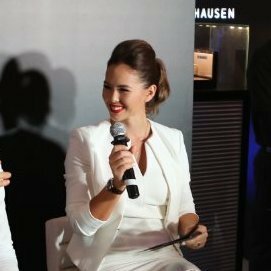 She has been the motorsport presenter for events like Singapore GP, ESPN FC, Mercedes AMG China, Commentator Porsche Carrera Cup Asia Singapore GP 2014, Mercedes Singapore 2014, Evo Singapore Writer. Claire also took on the role of host & commentator for the Singapore Karting Championship in 2013. She will be the perfect candidate for your sport and lifestyle events!